SIGN IN OR SIGN UP by clicking on the BREWERS CLUB REWARDS button at the bottom right of the page! It will also show you how to earn and spend points! We are extremely proud to introduce our brand new Brewer's Rewards Club program! Creating an account on our site automatically adds you to the club which helps you earn points and receive special perks periodically during the year. 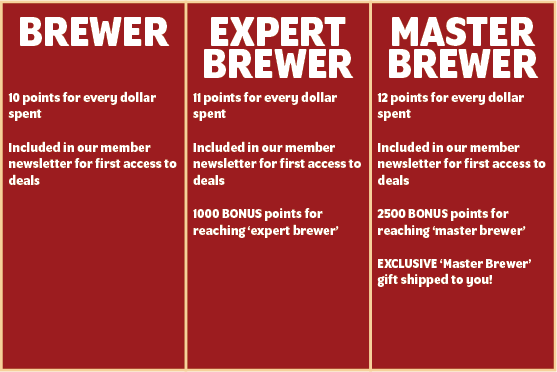 Brewer's Club Rewards members also are always the first to learn about promotions and sales - so join today! 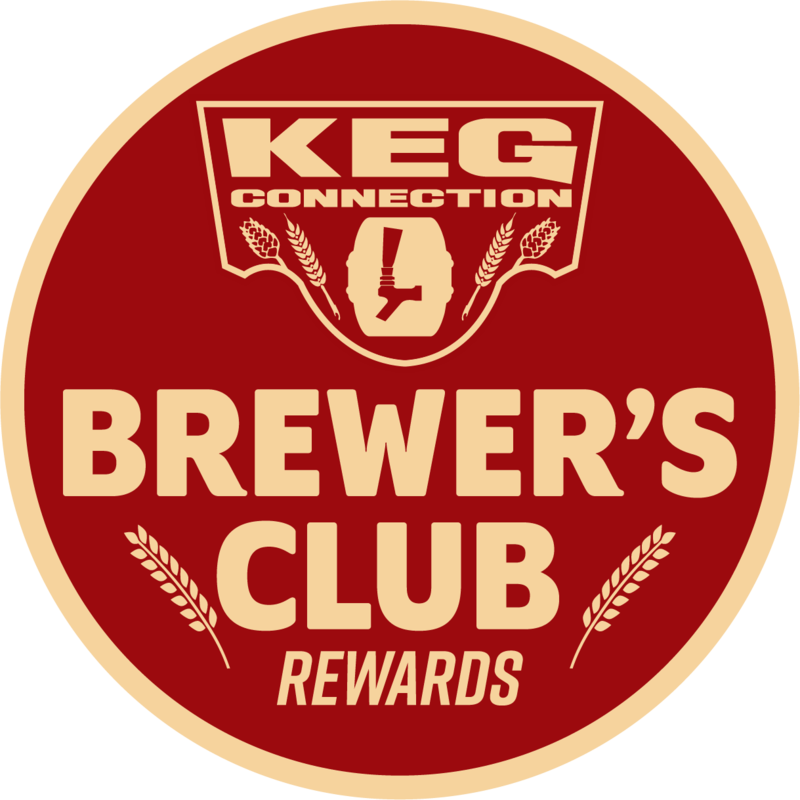 A benefits program that allows Kegconnection customers the opportunity to earn and spend points with each purchase they make. The program also gives members other exclusive perks! Brewer – This is the entry level tier. 10 points for every dollar spent. Included in newsletter for first access to deals. 1000 bonus points for reaching Expert Brewer Tier! 2,500 bonus Points for reaching Master Brewer Tier! Free exclusive Master Brewer gift. How you can spend your points! Your points are rewarded as soon as your order is shipped! Members will also periodically receive exclusive perks such as shipping discounts, product deals, recipe exclusives, and lots more so join today!